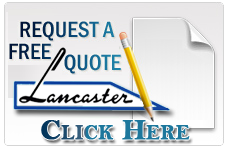 Lancaster Knives, Inc. is the last domestic full line manufacturer of industrial knives and machine parts. Our quality and delivery edge have helped maintain industry leadership. Five generations family-owned and operated. Manufacturing knives for the wood, plastic, paper, rubber and recycling industries is our specialty. Knives for these industries include: Veneer Knife, Granulating Knife, Chipper Knife, Rubber Knife, Fly Knife, and Bed Knife. Other products include: planer knives, paper knives, chipper knives, jointer knives, shear blades, wear plates, industrial knives, granulating knives, bed knives, fly knives, recycling knives, and rotator knives. Custom Grinding includes plate grinding, way grinding and knife grinding. Other services include heat treat, straightening, and corrugating.